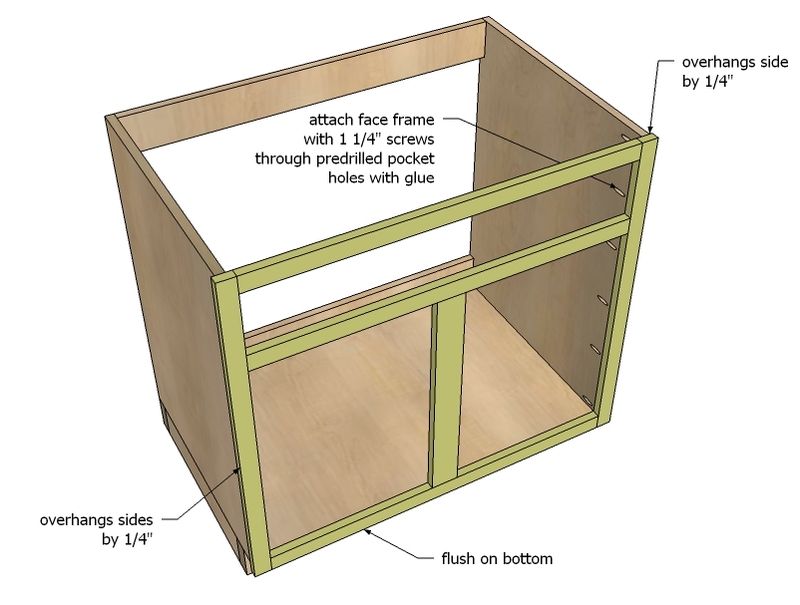 Standard 36″ wide sink base as shown in diagram. 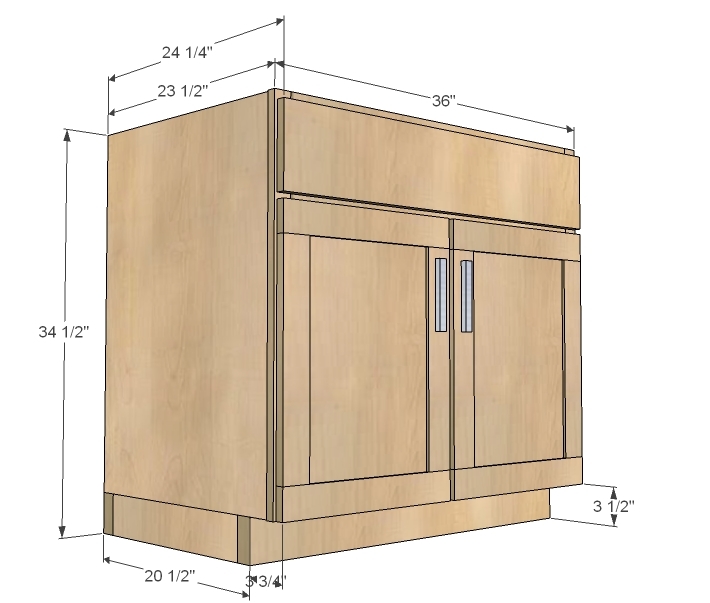 1 sheet 3/4″ cabinet grade plywood, MDF or Melamine (shown built with PureBond Formaldehyde Free Plywood in Oak) ripped into strips 22 3/4″ wide, 8 feet long (you will only need one strip, but you will have to buy a whole sheet to get the strip)- SAVE THE SCRAP STRIP!!! Rip plywood into strips 22 3/4″ wide x 8 feet long. Save center scrap. Cross cut strips to create box pieces. 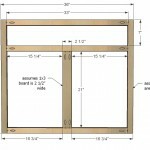 Please read this post before beginning any cabinet construction. 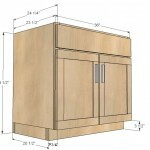 It talks about general building techniques, how to modify, and other good stuff about cabinet building! Build the base as shown in diagram. 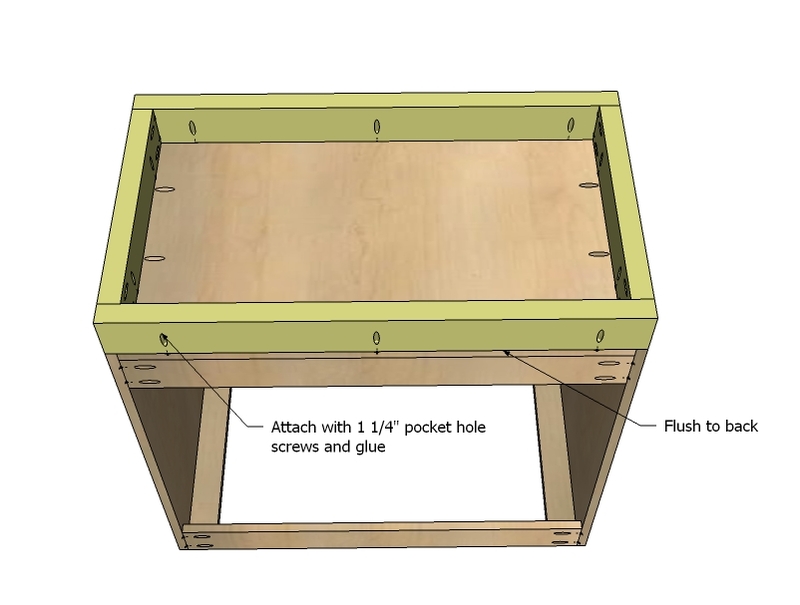 Plan ahead and drill pocket holes to attach base to underside of cabinet in later steps. Once base is built, set aside. 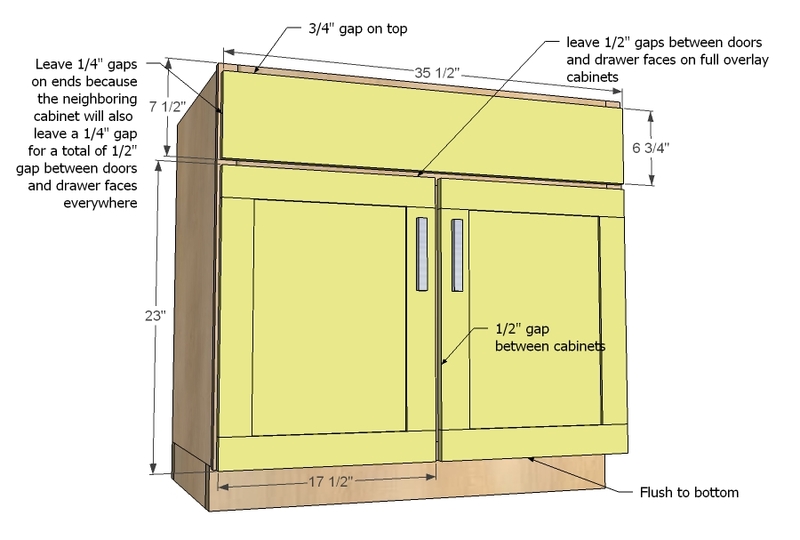 Note that base is 1/2″ less in width than cabinet to account for face frame overhang. 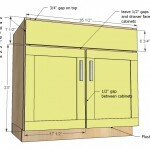 Build the carcase as shown in diagram. 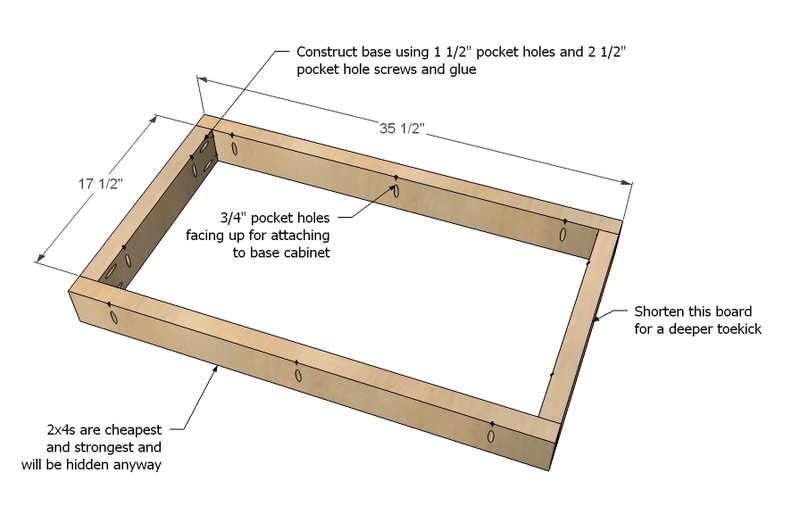 Make sure you also drill 3/4″ pocket holes along front edges for attaching face frames in later steps. We used scrap plywood strip for the back supports, but 1×3 or 1×4 boards can also be used. 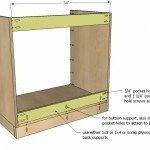 These supports add a ton of strength to the cabinet – especially since this is a sink base and is backless. The trick to face frames is clamping each joint, marking each joint, and having a flat level surface. 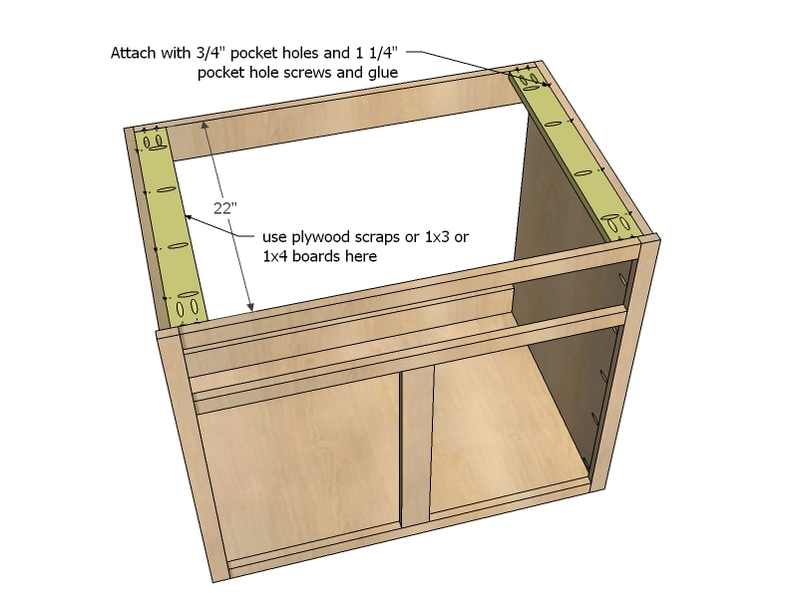 Use glue and build with 3/4″ pocket holes and 1 1/4″ pocket hole screws. 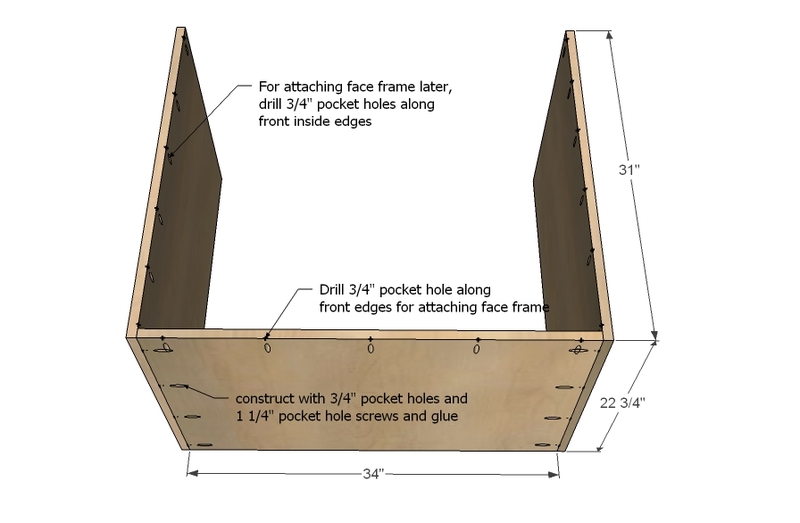 NOTE: If your face frames are hardwood – recommended if you are attaching hinges to the face frame – then use fine threaded pocket hole screws. 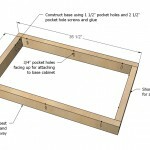 Mark inside edge of face frame 1/4″ all the way down on both sides to guide you when attaching face frame. 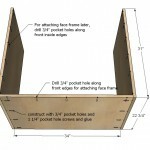 Face frame overextends both ends by 1/4″ and is flush to top and bottom. 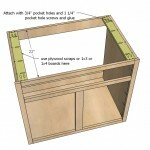 We attached with pocket hole screws through predrilled 3/4″ pocket holes. 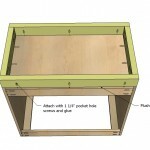 An alternative that I sometimes do – depending on the project – is to use finish nails to fasten the face frame and glue. These guys are for attaching the top plywood when all your cabinets are in place to support the countertop. 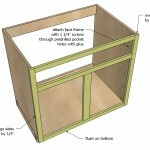 They also provide corner support, keeping your cabinets square. We used scrap plywood pieces, but 1×3 or 1×4 boards would do the trick too. 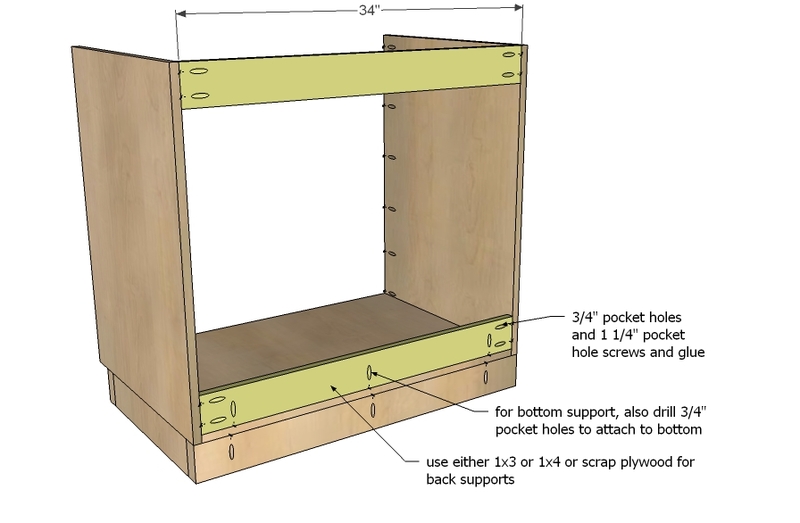 Once the carcase has been built, attach the base, flush to back and sides. 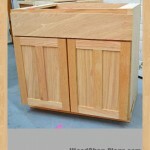 We found the most time consuming part of building the cabinets was the doors. 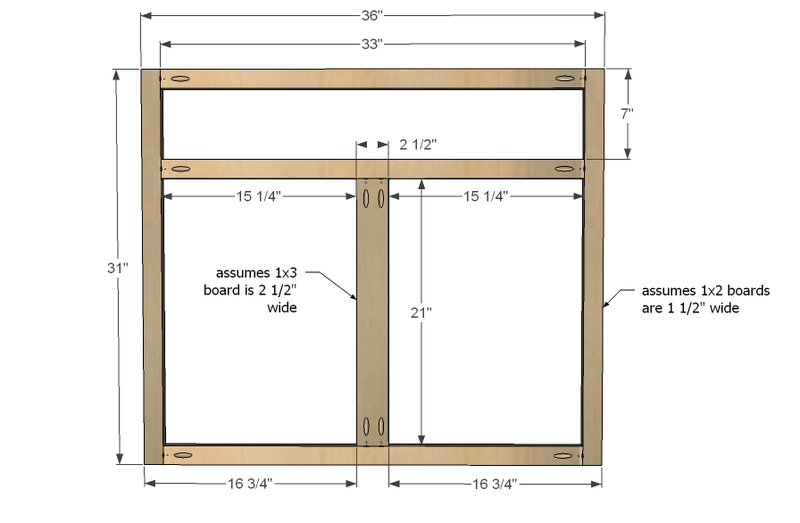 Here’s the measurements but I’m not going to post door construction at this time. we will be posting generic door construction methods, tips and tricks in the tutorials section at a later date. The drawer face is of course just a 1×8 ripped down to size. An alternative is to use a door building service. Because doors take such high abuse and are more likely to warp, could be a good idea to look into ordering doors unfinished. 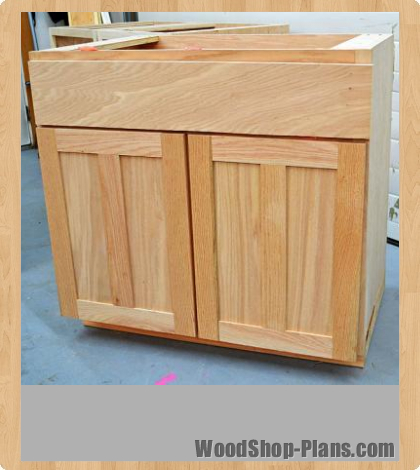 Doors also require more tools and know-how, and are the part that you see on your cabinets. They are also cheap to ship.